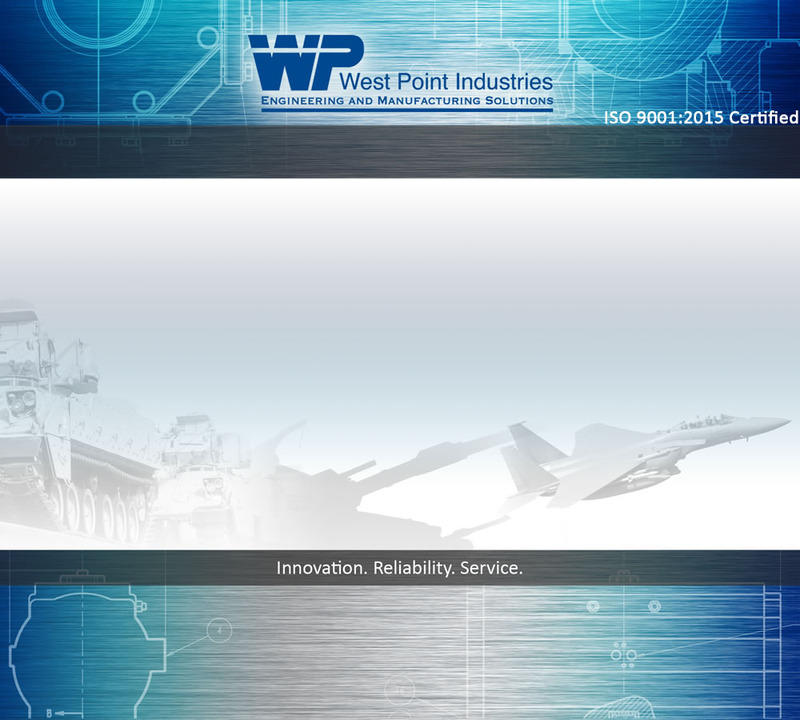 West Point Industries, founded in 1868, provides turnkey engineering, manufacturing and field service for the Department of Defense. We specialize in maintenance and testing systems that are designed to improve safety, efficiency, accuracy and performance. West Point is a licensed Professional Engineering company and maintains a 188,000 square feet manufacturing facility with machining, fabrication and assembly capabilities. West Point's engineering department specializes in mechanical, electrical, hydraulic and systems engineering. We offer a complete systems design from concept through a finished product. Our engineering staff has an average of over 30 years of design experience and has completed 1000's of successful designs that are in use throughout the world. West Point is a unique small business in that we offer a true "Brick and Mortar" business that has an existing facility and experienced workforce to handle most any manufacturing challenge. We can expand our workforce and capacity to handle new projects and expand our capabilities.